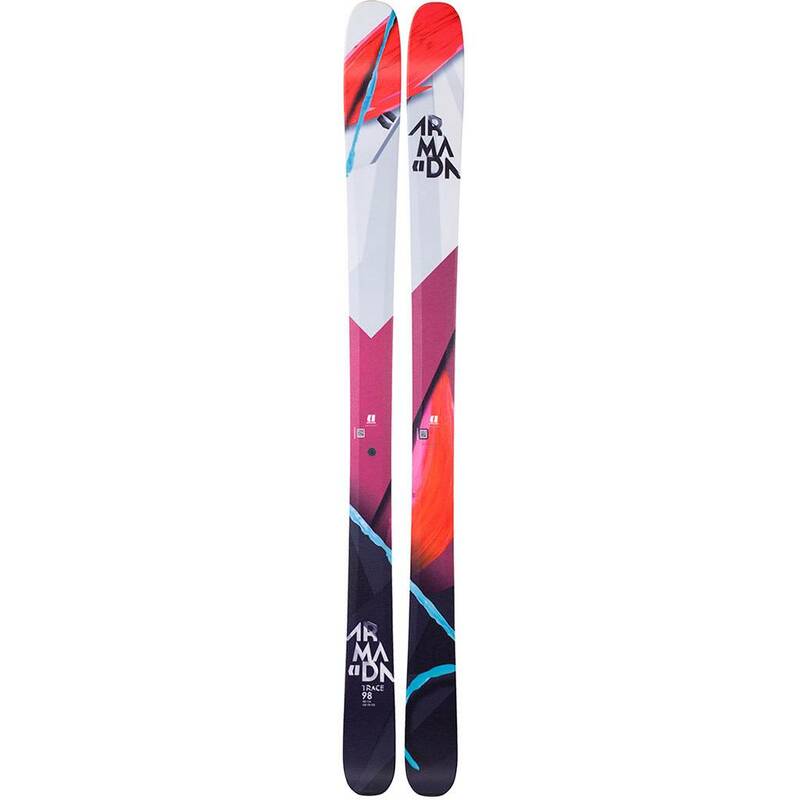 The Armada Trace 98 women's alpine skis give you performance and versatility in a lightweight ski. For the woman who is looking for performance and versatility in a lightweight ski, check out the Armada Trace 98 Womens Skis. With easy maneuverability, a fat tip that floats in pow, and a super lightweight build, the Trace 98 can take you from the lifts to the sidecountry.